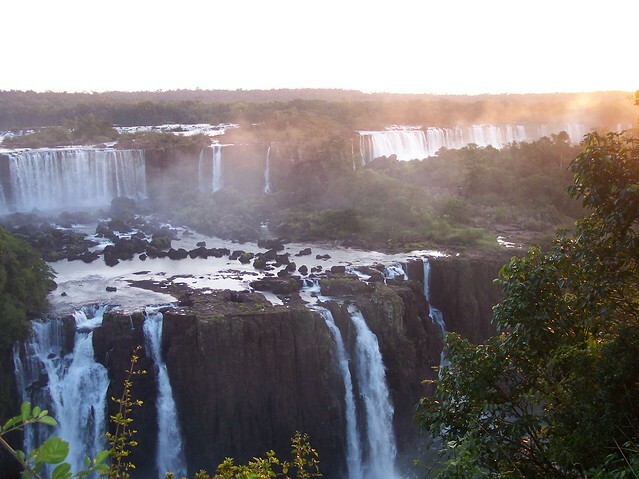 I took this shot from the Argentine side of Iguazu Falls in June 2006. I was told that the water flow was unusually low. The sound and mist become overwhelming as you get close. Truly magnificent! This entry was posted in Photos, Poetry and tagged argentina, brazil, haiku, iguazu, nature, south america, waterfall. Bookmark the permalink.